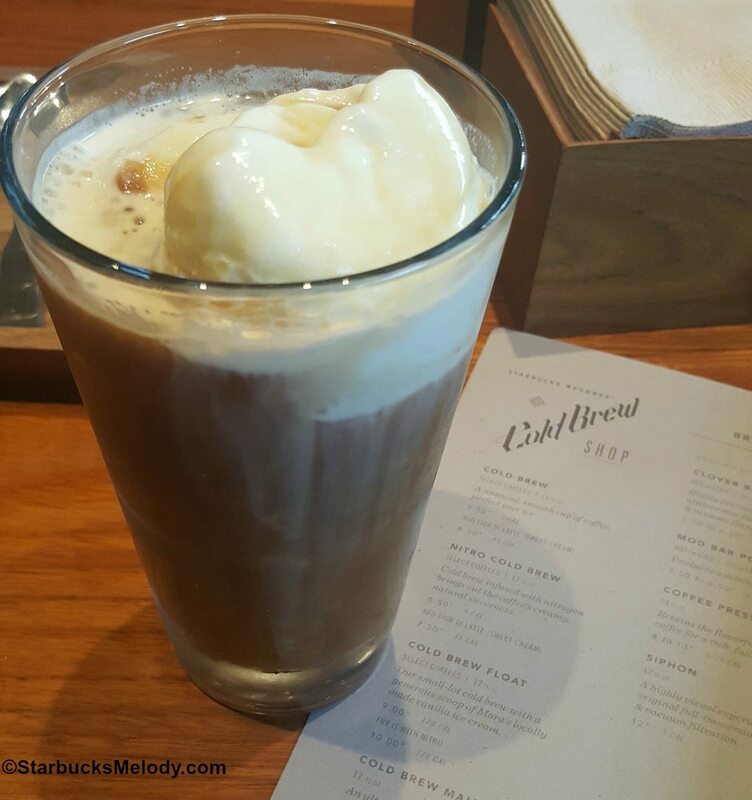 Starting Monday, June 27, Starbucks Reserve Roastery espresso will do a bit of immersing in the form a new Affogato line-up of beverages and introduce a Cold Brew Malt as part of the Roastery’s summer time cold coffee menu. Affogato beverages are “drowned” in espresso. Espresso is poured over the top, at the finish of the drink or treat creation. MORA Iced Creamery, a nationally recognized and acclaimed Bainbridge native of more than ten years, Mora is known for its impeccable ice creams, made using an artisanal process for uniquely modern flavors, making Mora the perfect partner for this new menu. Starbucks decided to start with an ice cream that’s simple and elegant – classic vanilla – which when paired with our single origin espresso and cold brew, truly lets the coffee shine. Ice cream will also be offered ‘a la mode’ for customers that want to add it to another beverage or food order. Take a look at the Roastery’s summer menu! Classic Affogato 4 fl. oz. Two shots of Paradeisi espresso poured over Mora’s locally-made vanilla ice cream. House Affogato 6 fl. oz. It’s our Classic Affogato with a touch of demerera syrup, dusted with cinnamon. (The House Affogato is shown in the image to the right). Paradeisi espresso shots shaken to an icy froth, poured over Mora’s locally-made vanilla ice cream, lightly finished with vanilla syrup and a mint sprig. The Roastery’s own small-lot cold brew poured over Mora’s locally-made vanilla ice cream. Try this with Nitro-infused cold brew for a small additional charge. The Roastery’s own small-lot cold brew shaken with orange peel, orange-piloncillo syrup, strained over Mora’s locally-made vanilla ice cream and finished off with a dusting of reserve mocha and an orange twist. A nod to nostalgia, single-origin cold brew concentrate is blended with ice cream, malt & bourbon barrel aged bitters. Cold Brew Malt 12 fl. oz. 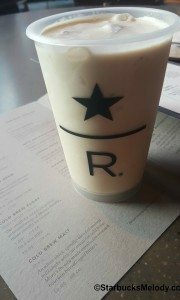 An ultra-thick spindle-blended malted milkshake with the Roastery’s own small-lot cold brew, Mora’s locally-made vanilla ice cream and bourbon barrel–aged bitters. I tried three of the above beverages/ desserts. 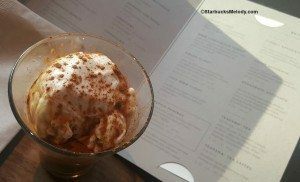 I tried the 3 that are shown in the photos: House Affogato, Cold Brew Float, and the Cold Brew Malt. The Cold Brew Malt tastes a bit like a coffee shake. Essentially, that’s what it is. 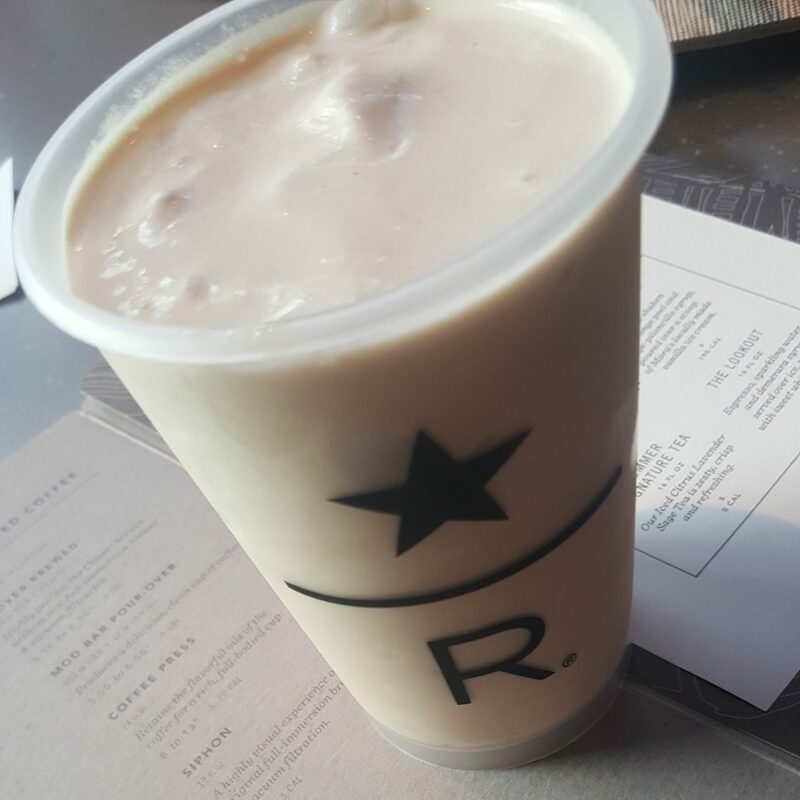 If you want a coffee ice cream shake, order the Cold Brew Malt. The Cold Brew Float is delicious. Lots of wonderful cold brew enveloping the ice cream. That might be my go to summer item! Of course, most of my readers don’t live near the Roastery. You can easily make a delicious Cold Brew Float at home! I make cold brew with the Roastery’s cold brew kit here. You don’t need a fancy kit. Just be sure you have a big mason jar (or other big jar) and some kind of coffee sock. The general rule of thumb is that you’ll want to use a course grind for your cold brew. You can brew anywhere from 12 to 20 hours – that’s the time that your coffee is immersed in water. Both the ModernBarista and I agree that a 16 hour brew time is ideal for most cold brewed coffees. 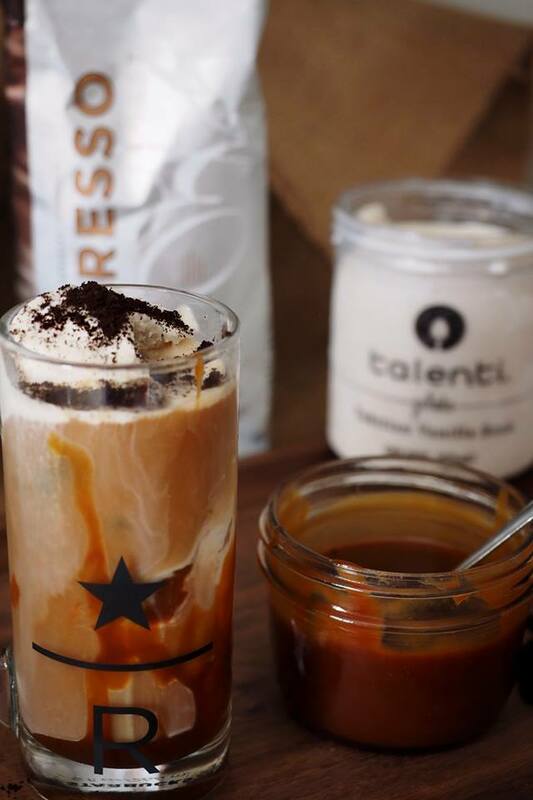 Cold Brew Float Featuring Talenti Vanilla Bean Ice Cream and Starbucks Espresso Roast. Notice that she picked Talenti Vanilla Bean ice cream. It’s so delicious. Turns out, coincidentally, we love the same ice cream. Try Talenti! I’d love to hear if you’ve tried any of these or make these at home!